This shop has been there for a while. Looking on the signs and ad stands I would make a guess it is in business for 40 years or more at the same address. The inside is even more impressive. Space there is highly organized. You would not find a little square of surface being empty for no reason. Most of the wall shelving is filled with sewing accessories: needles, threads, bobbins, foot attachments, lubricants, manuals, cables. Floor and stairs are orderly covered with machines of different brands, years of manufacture, sizes and, I suppose, prices. In between there are walking paths wide enough to fit a single person. If there are 2 people on a path, one of them will need to get in a small pocket to allow other one to pass. 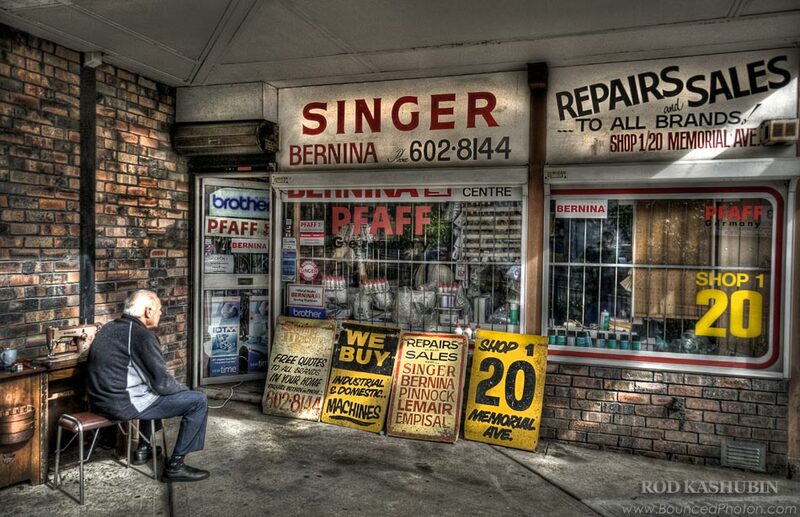 Gentleman sitting outside near Singer is waiting for his sewing machine to be repaired. Picture is a 2nd place winner in ‘The HDR Effect’ ACDSee Pro contest. After the beautiful sunset we were walking to the car park. It was quite cold and windy even before the sunset and now we could hardly think about anything, but to get into the car and turn the heating on. Suddenly, we were stunned by the view of the ocean. Slowly climbing from the water depth was the full moon. It was huge, shiny and of a strange yellow tone like the one of this picture. We`ve spend quite some time enjoying it and taking pictures from different places. This is the one I like the most. Plane lights added a nice detail to the photograph even though I was so focused on the moon I did not notice them flying. This is a tone-mapped and post-processed HDR out of 3 bracketed shots (-2/0/+2EV) with exposures 1.6/6/25s. Big surf, gusty cold wind and fast clouds might not be the best company for a photographer. 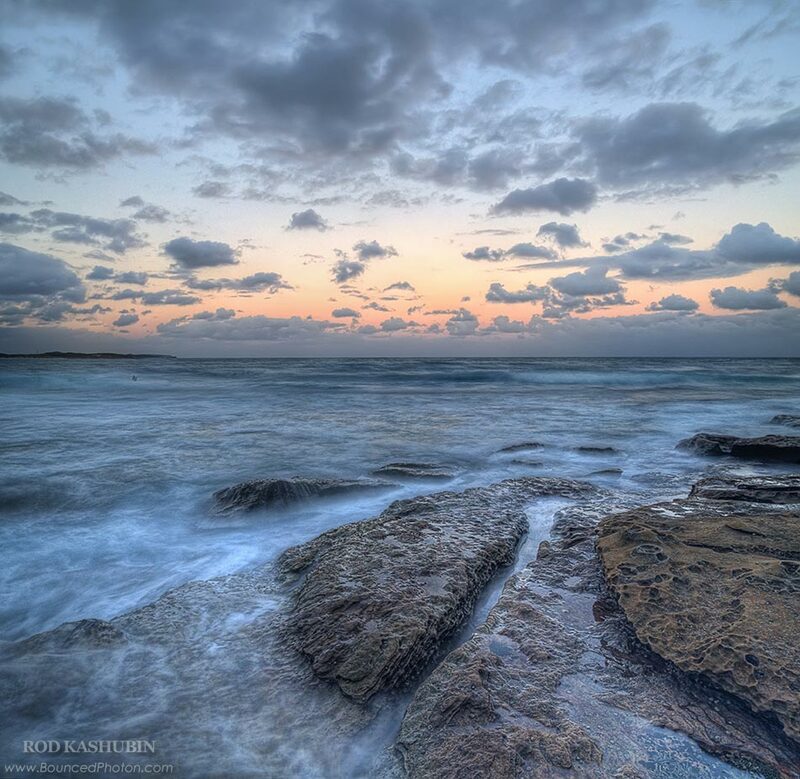 However, I was still able to capture the wonder of evening colors at South Cronulla. Standing on a 1.5m high rock with a tripod on a strong wind I made 4 sets of bracketed shots at the same time trying to prevent my tripod flying off with the camera. The idea was then to put 12 photographs together into a nice HDR panorama. However, I had trouble combining left and right parts of the picture. Therefore, what we have here is a HDR panorama that came out of 2 sets of photographs from the left side: 3 bracketed shots above horizon and 3 below. I also used a ND8 filter to capture longer exposure. I hope you like the result. 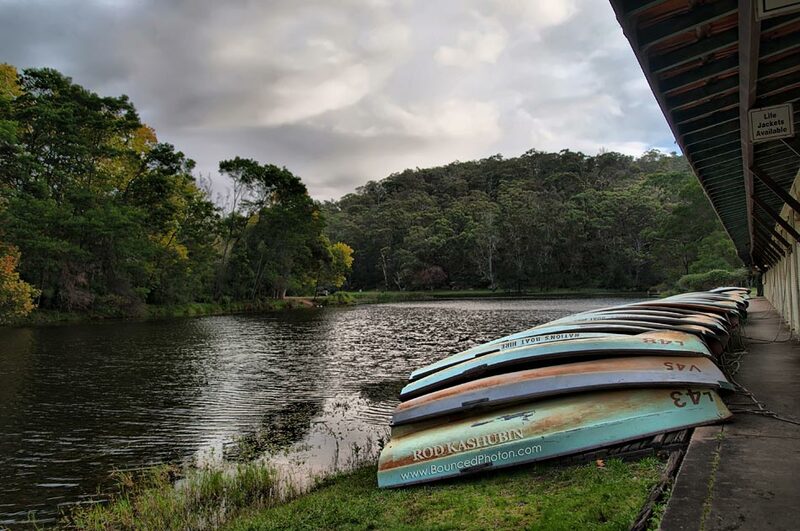 Warm and windy afternoon in the park west of Sydney. 3 photos were made on a cheap and shaky tripod with ND8 neutral density filter on the camera. 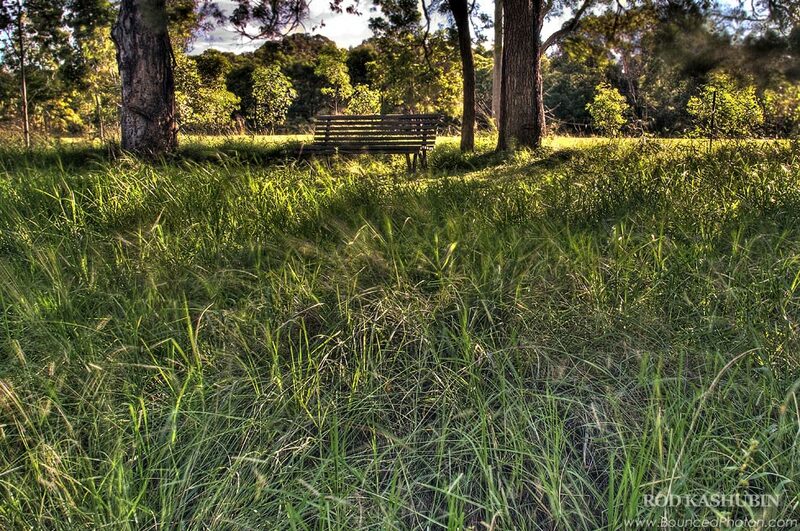 The exposure of the ‘longest’ shot was 13sec which created nice windy effect on the grass. 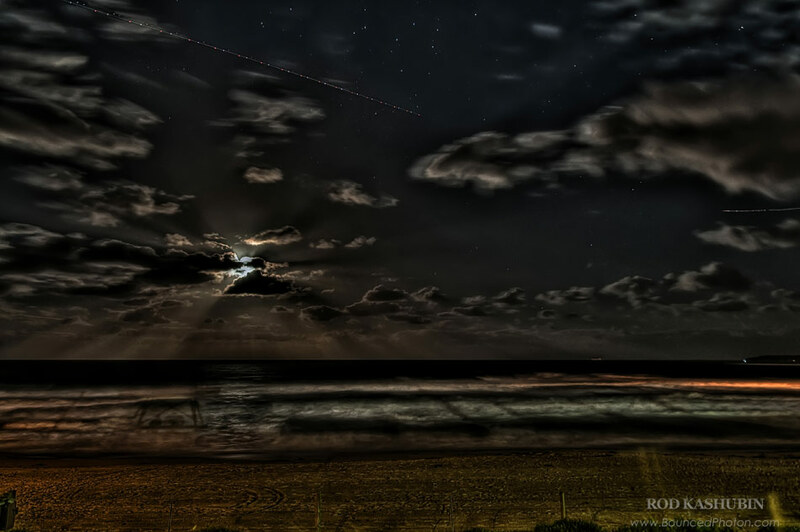 The images were then processed to remove lens distortions and combined into a HDR. Tone-mapped HDR was further enhanced to reduce HDR artifacts and to increase brightness in some areas. 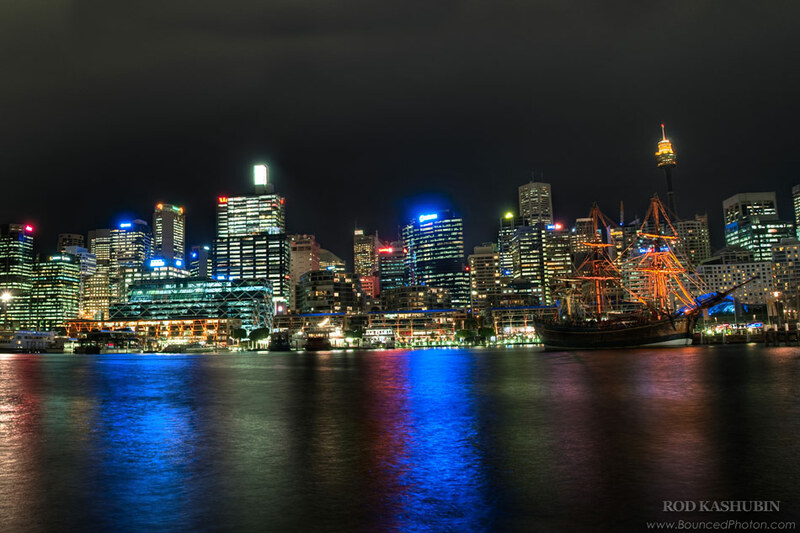 Views across the Darling Harbour on King Street Warf and Sydney Central Business District. 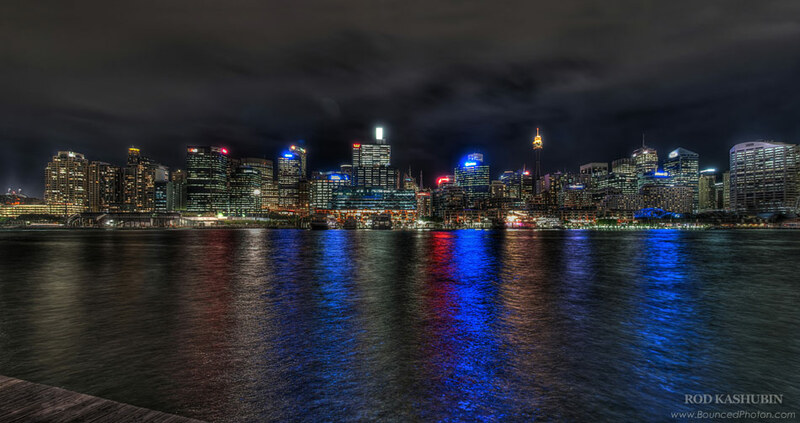 The highest structure, Sydney Tower, could be seen on the right rising 305 meters above the city. An unusually big moon at the center of the photo is actually a lens glare created by one of the skyscrapers. HDR panorama of 12 photographs (2 vertical and 2 horizontal sets x 3 shots each). 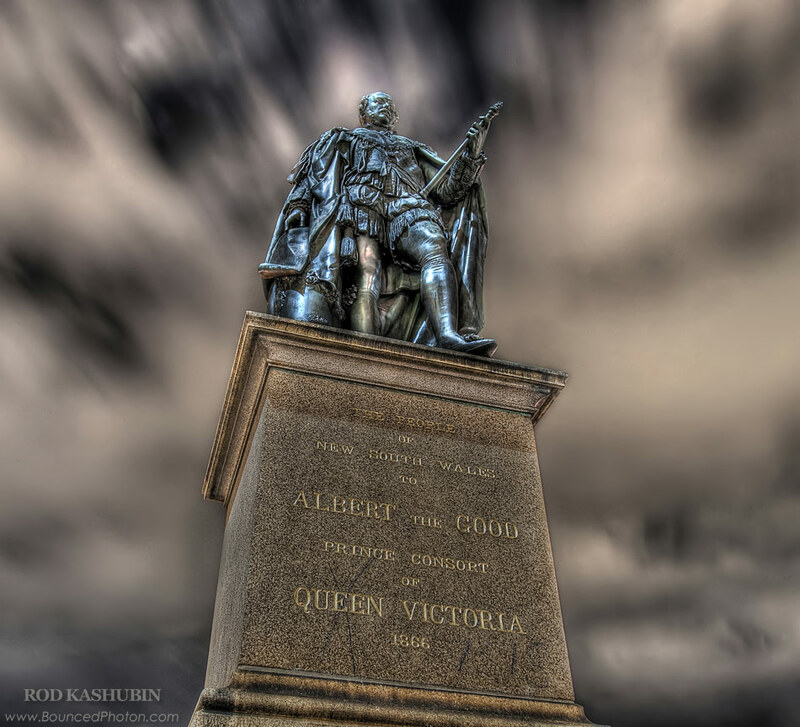 Husband of Queen Victoria of the United Kingdom, Prince Albert was known as reformer and innovator. The Supporter of constitutional monarchy he was also a Chancellor of the University of Cambridge (1847), President of Society of Arts and an active promoter of The Great Exhibition of 1851. The replica of Captain James Cook’s famous ship at night. Having sailed 170,000 nautical miles (310,000 km) and visited 116 ports in 29 countries she is now a museum ship at the Australian National Maritime Museum. HDR panorama out of 6 photos (2 x 3-exposures). 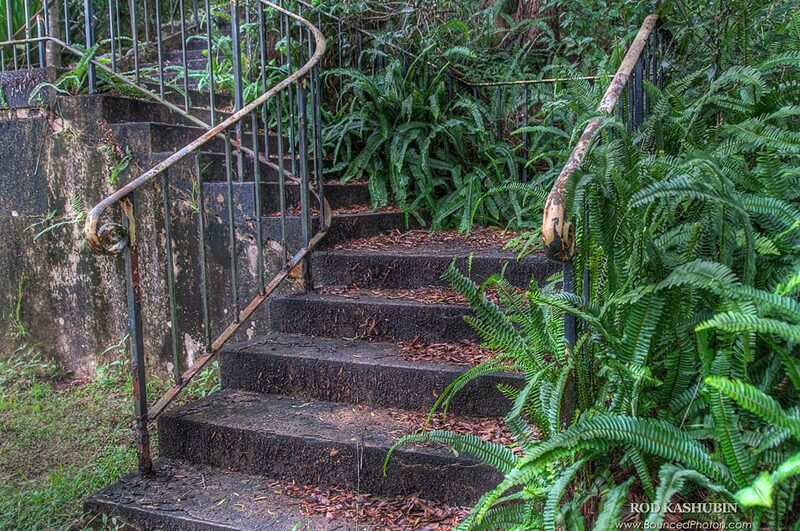 Rusty stairs in Audley near the boatshed. Open from 9am to 5pm every day in a year this historic boathouse has unlocked its doors to the visitors more than 42,500 times since its establishment in 1893. Older B/W image from State Records NSW. 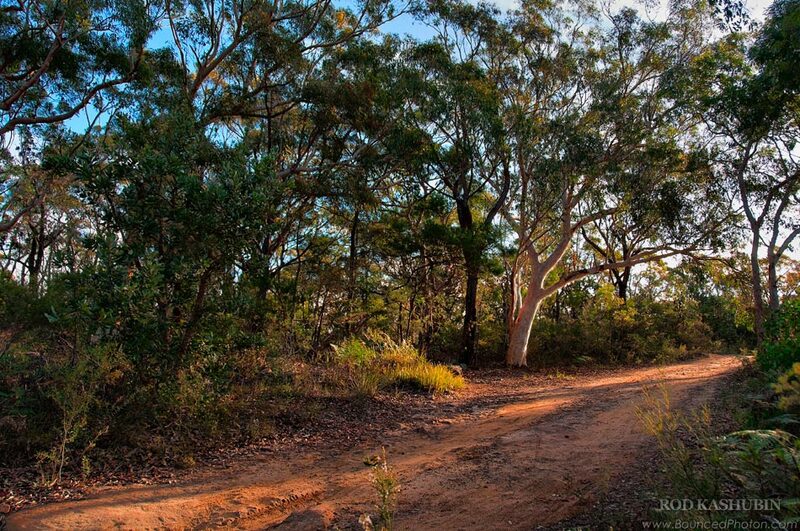 A fire trail going along the Bungoona Path in Royal National Park, Sydney, Australia. Quite a popular track for running and bicycle riding. Photo combined from 3 exposures. Shot at about 5PM.